Baccarat card game has overcome a lot of difficulties and changes before coming to modern casinos and becoming one of the most widespread and loved casino card games of luck. 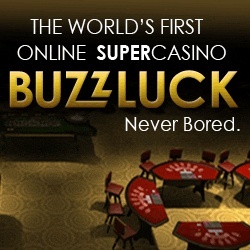 It is impossible to imagine gambling world without this noble and exciting game which history of development was very long and not simple. At the beginning of our era baccarat card game lived in China in the form of Pai Gow: if to translate this name from Chinese into English we'll have "Make a Nine". As far as it is known, the point of baccarat is the same: to guess which of two card hands will have the number of points closer to 9 (the maximum possible to get in this game). They say that afterwards baccarat has moved to Italy from China where received its modern name. All baccarat gamblers know the name of Felix Falguerein, an Italian gambler of the 14th century who is believed to be a creator of baccarat rules. Everybody thinks that Mr. Falguerein used the famous myth about Etrustan civilization as a basement for the rules of baccarat game we play and like so much today. The next country where baccarat decided to leave its step was France: thanks to Charles VIII - the King of France of that time (the 15th century) - baccarat came to the country and began to develop very fast; Chemin de Fer and Baccarat en Banque were created, the first famous baccarat players appeared. Only aristocrats had a right to play baccarat but the middle class also found a way to enjoy the game illegally. There was a moment when baccarat did not forget to visit England too: when this game was prohibited in France for some time, baccarat did not want to give up and moved to England thanks to the son of Queen Victoria. Baccarat en Banque continued to develop there and many people enjoyed playing it both for fun and big money. Finally, baccarat decides to conquer America: thanks to French immigrants and English colonists, it came to the USA in the end of the 19th century but did not find any success there because of blackjack's popularity of those times. Baccarat did not give up and came back to this country in 1950's with Tommy Renzoni in order to stay there forever and give a birth to its new variations, such as Punto Banco, Mini Baccarat and Super Pan Nine.